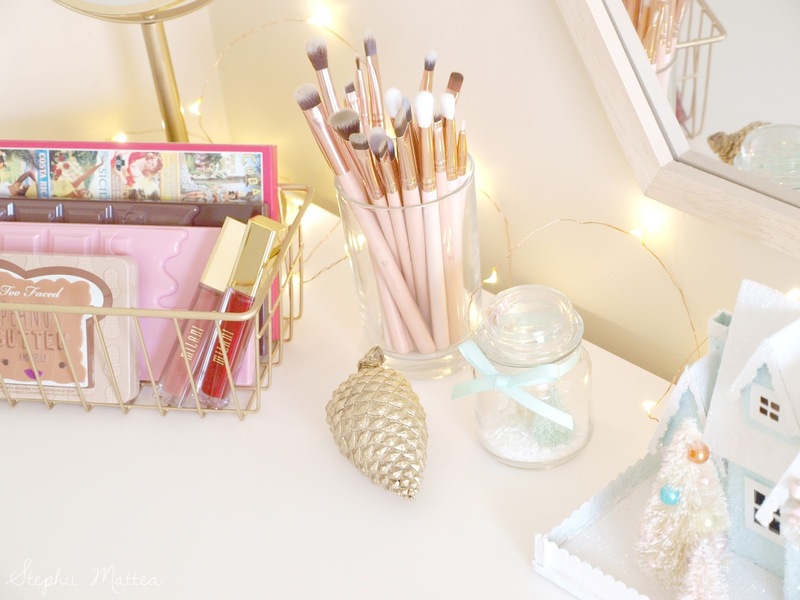 Day three of Blogmas is here! 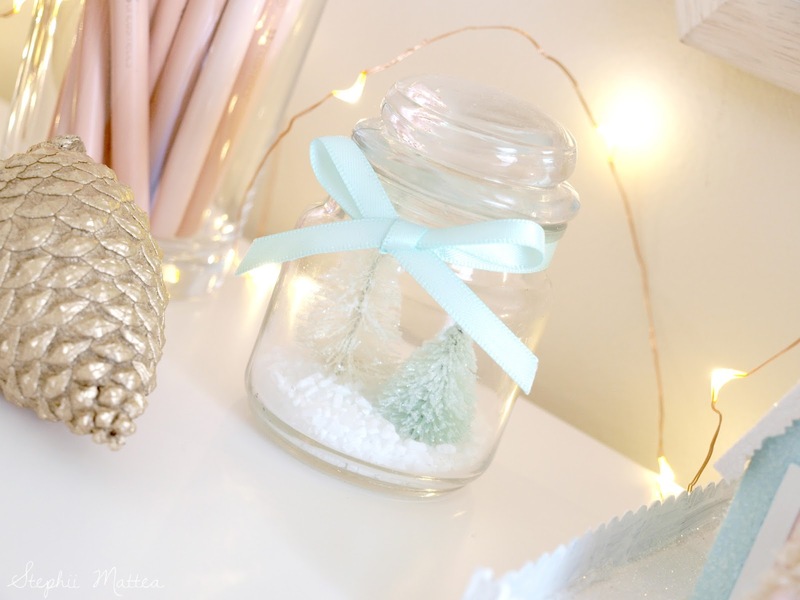 This is another decoration post because I've got my Blogmas posts organised in a certain way. I thought about mixing it up, but I like it this technique, so I'll stick with it. My first day of Blogmas had me unveiling my Christmas tree. 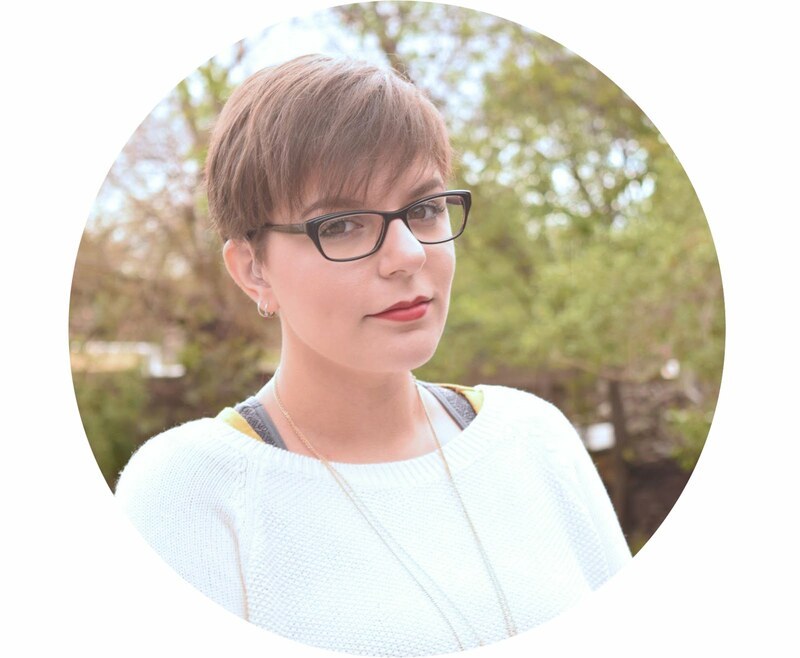 Yesterday I showed you my Christmas Decoration Wishlist. Now, we have my vanity! I wonder how many of you guys have been wondering about my battlestation. I spend a lot of time at my battlestation, especially when Sean starts work for the day. It's the brightest room in the unit, and it's the most comfortable place where I can sit and work on the blog, than anywhere else. 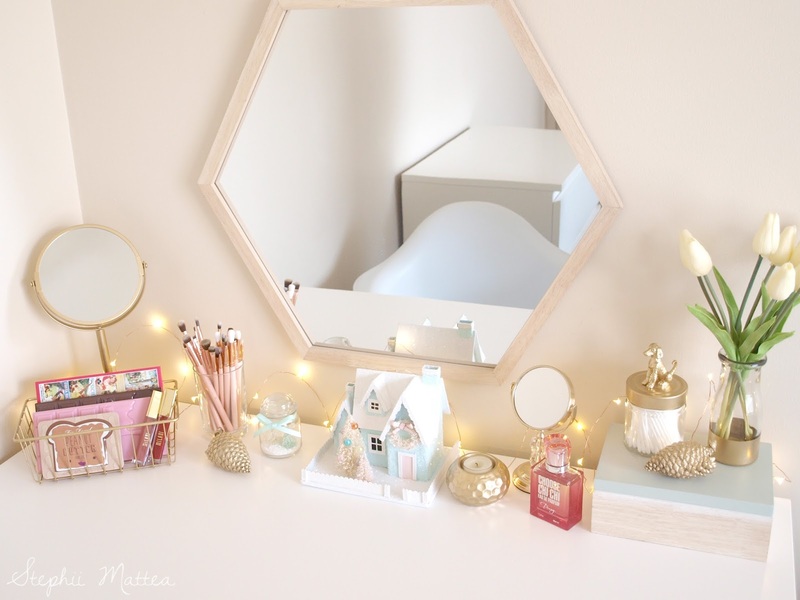 I wanted to decorate my vanity a little bit for the festive season, so I decided to go with a putz house. I made this little house myself, though it was really time-consuming. I had a crafternoon with Mum when I slept over at her place the other weekend, and we had heaps of fun painting our little houses (both built by me), and then applying the other details such as wreaths and glitter. The glitter went everywhere, especially when my sister opened a container of red glitter all over herself, thinking it was empty. Aside from the putz house, I also decorated the vanity with a string of LED lights, a mini terrarium with a couple of trees and two golden pinecones that I spray-painted. I didn't want to go overboard with my battlestation because I needed it to be functional and have plenty of space available for my laptop, journal, notebooks and numerous drinking vessels. I've put away some of the things that usually take up residence on my vanity because it was going to be very cluttered what with all the decorations. I wanted to replace the tulips with some branches of rosemary, but I didn't want to bother Sean with the scent as he has such a strong sense of smell. I couldn't find any eucalyptus trees nearby, let alone pine. 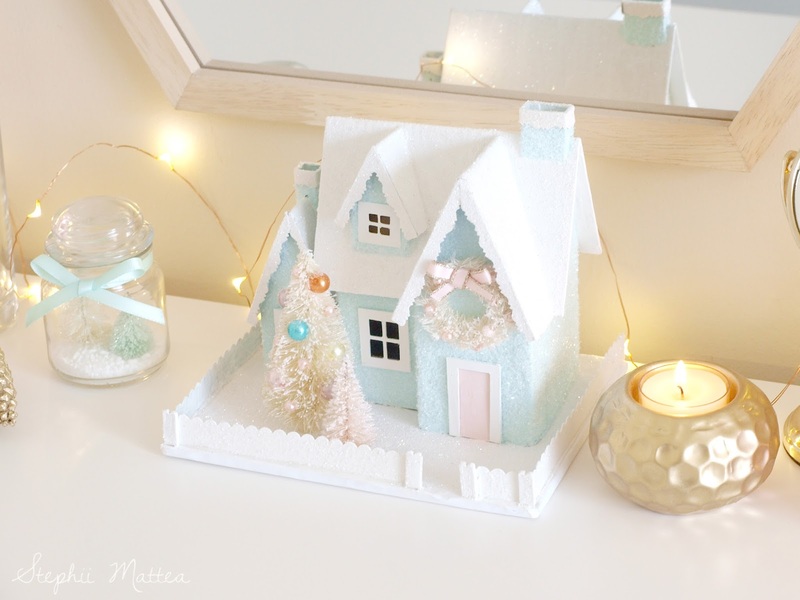 By the way, I've got a DIY putz house post planned for this month as part of Blogmas, so you will be able to make your own glitter house in time for Christmas. I actually prefer making these over gingerbread houses, because they're cuter and you don't need to bake or get sugar everywhere, let alone worry about ants. Awesome, right?! What surfaces in your house have you decorated?